The Mane Objective: I Tried 7 Alikay Naturals Products for the First Time. Here's What Happened. 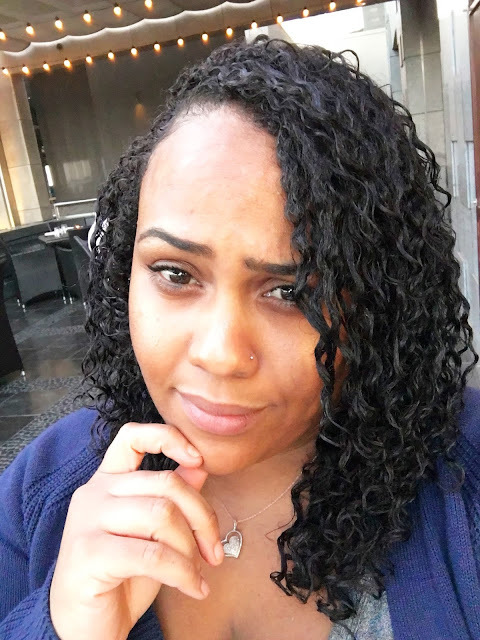 I Tried 7 Alikay Naturals Products for the First Time. Here's What Happened. I love reviewing products. I really love when those products come from a Black-owned brand. But Alikay Nauturals has me over the moon. Why? Because the CEO and Founder of Alikay Naturals is Rochelle Graham, aka Blackonyx77 from YouTube. Rochelle built her beauty empire in the most dynamic way - from showing DIY recipes and tips on YouTube, to sitting at the helm of a multi-million dollar beauty brand that's shelved at retailers like Target, Bed, Bath & Beyond, and Sally Beauty nationwide. 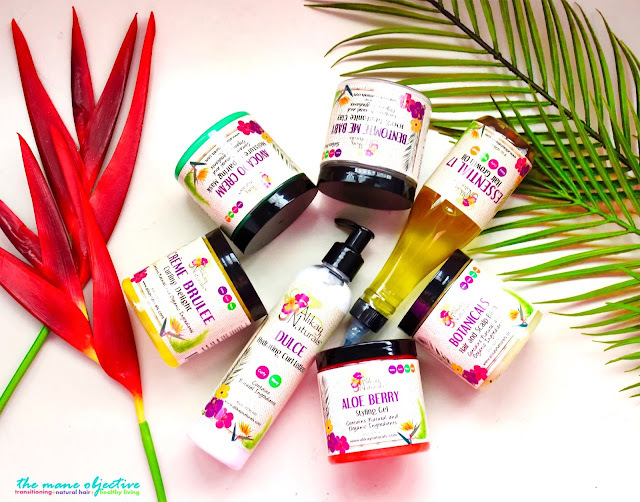 Alikay Naturals represents (for me) what's possible beyond the world of blogging. Not that I'll ever stop blogging -- but growth is important to me. So to see Rochelle go from YouTube to store shelves is nothing short of inspirational. Anywho, like the title of this blog post suggests, I tried 7 Alikay Naturals products for the first time. 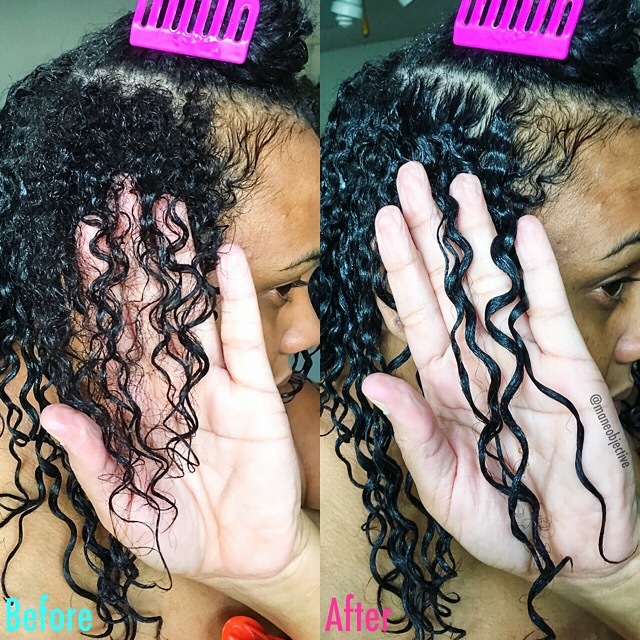 Thanks to Rochelle and the Alikay team, I was able to deep dive into: Avocado Cream Moisture Repairing Mask, Dulce Hydrating Curl Lotion, Bentonite Me Baby, Aloe Berry Styling Gel, Creme Brulee Curling Delight, Botanicals Hair and Scalp Balm, and Essential 17 Growth Oil. What did I think of them? Watch my #ProductChatter video below, and read keep reading the post for all the nitty-gritty details on each one! I love how creamy and thick the Avocado Cream Moisture Repairing Mask is. The smell is amazing - like a green apple Now & Later candy (#hoodmemories lol). The slip is okay - nothing I would particularly use to detangle with, but better than some products that feel like sandpaper on the hair (lol). It soaked right in to my strands - and left them shiny and moisturized. I am totally nuts over how much avocado goodnes is packed into this product. Avocado is one of the best oils for distressed curls - helping to boost shine, softness, and elasticity while patching up damaged cuticles. Yes, yes, and more yes. With each use, my hair got stronger and was full of shine. I do wish the Avocado Cream Moisture Repairing Mask had more slip -- but I've used products with less and continued to love them, so I can do the same here. As a protein fiend, I wish there was some bonafide protein in there - that would really send it over the top. But even without, it's a solid deep conditioner and perfect for protein sensitive ladies who need a little strengthening boost. Oh absolutely - without a doubt! Cocoa Butter: A powerful emollient and softening agent. Not only does it possess amazing healing and soothing properties for the skin (scalp), it softens hair and promotes shine and elasticity. Kokum Butter: Fatty acid rich butter that helps with cell oxygenation, making nutrients more readily available for use by the scalp - promoting hair growth and improving elasticity to prevent breakage. Silk Amino Protein: Used for conditioning, moisturizing, known to make hair glossy, and give hair more body. It is a strong humectant, and is made from a mixture of amino acids, the most common in this mixture are Glutamic acid, Serine, Proline, Arginine, Threonine, and Aspartic acid. Y'all, Dulce got me out here acting a dang fool. I love the smell, the creaminess, how it melts into my strands, and provides super moisture and shine. It works phenomenally as a leave-in, or moisturizer. It's not oily or greasy, and keeps my curls looking supple between wash days. I don't know why more people aren't talking about Dulce Hydrating Curl Lotion, because it delivers moisturized realness. The only downside to Dulce Hydrating Curl Lotion is that I'm running out, and I have to order more online. Why is this not in stores?! In gallon sizes?! Get you some Dulce Hydrating Curl Lotion for #summersixteen. You'll be walking around smelling like tropical Jolly Ranchers, and your hair will be poppin'. Would I? I got it sitting in my cart riiiiight now. 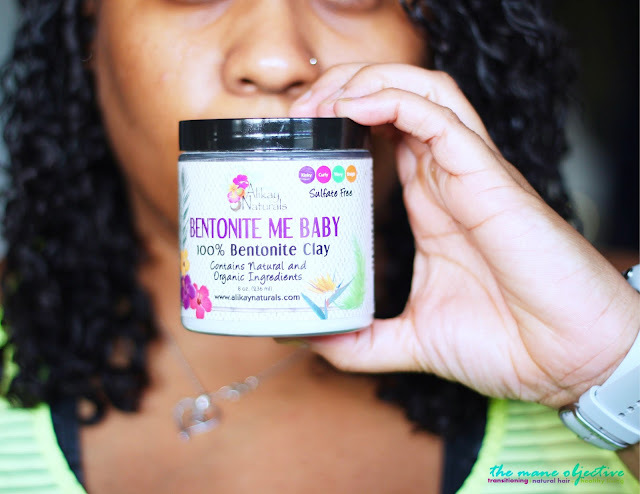 Due to challenges with the FDA earlier this year, Bentonite Me Baby is not currently being sold in stores or online. Click here to read all about what's going on. Aloe Vera: Acts as a natural conditioning agent that restores the hair's sheen, luster, and shine. It not only makes the hair soft, but it also enhances strength and suppleness. Almond Oil: Smoothes hair cuticles, promotes hair growth and thickness, boosts shine. Vitamin E: Supports hair growth, and believed to assist in preventing hair loss. Also has been known to be a proven UV protectant. Although I can't quite put my finger on the magic ingredient that makes it work, it works. I didn't expect Aloe Berry Styling Gel to have as much holding power as it did - but it held my curls downnnnn! 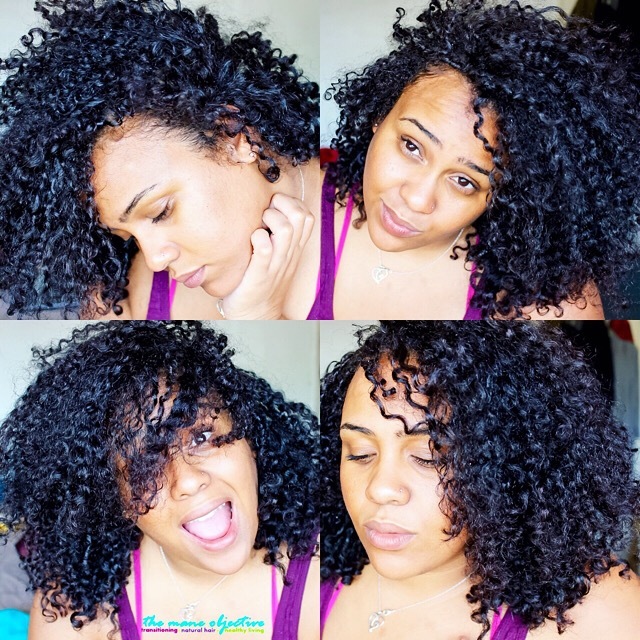 I love thick, heavy gels, and what I found about Aloe Berry Styling Gel is that it locked my curls IN. 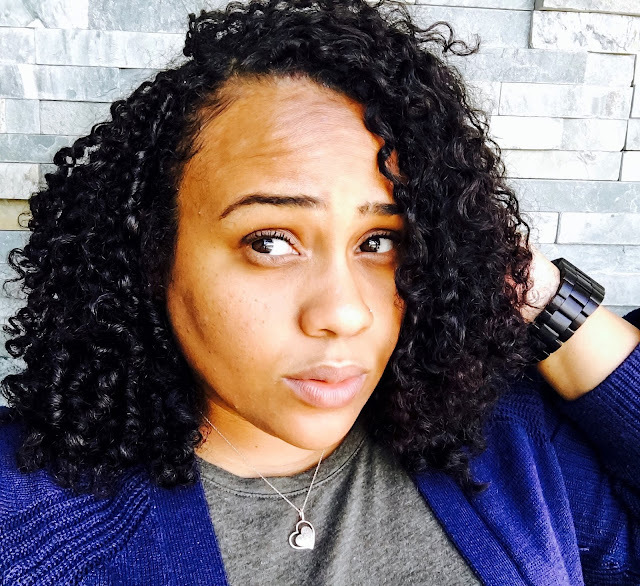 It gave my curls more of a wavy look, which was a cool switch up from the shrinkage life. I didn't get the super voluminous, plumped up curls I achieve with thicker gels on day 2 and day 3, which was a nice switch up - but not 100% what I look for in the performance of a gel. The hold was epic - but I love my curly curls more than the wavy look. Just a personal preference. My curls are more loose and wavy than curly... interesting, but I love my curls! If you have frizzy realness, or hair that eats gel for a living, Aloe Berry Styling Gel is probably the perfect hold and defining product to try out. I could see myself hanging on to it for updos, or styles that don't need a whole lot of volume to work. But to be honest, I'm more partial to Creme Brulee Curling Delight. alikaynaturals.com, Target, Sally Beauty, and Amazon. Agave Nectar: Sweet extraction of the agave plant that's rich in vitamins and acts as a hydrating humectant - drawing water to and softening the hair. Argan Oil: Oil derived from the seeds of the fruit of the Argan tree, touted for high concentrations of vitamins A and E, among other other claims. @chiaricurls told me I would love the Creme Brulee Curling Delight - girlllll you were right! I love the smell, the creaminess, how it captures my curls, but provides touchable definition by day 2. Creme Brulee Curling Delight is a total rockstar in my book. I have to go a little heavy on the more disrespectful areas of my hair - but that's par for the course. But can you really argue with results like these? The only down side to Creme Brulee Curling Delight I found is that the jar is only 8oz. Because my crown and front middle section don't want me to be great, I had to use extra product and as a result, half the jar was gone in the first use. I was only able to eek out one more wash and go before the jar was empty. Can a sista get 12 ounces or more (on the ground), please?! Creme Brulee Curling Delight is a solid curl defining product that gave me multiple days of curl definition - my curls were STILL poppin' on day 5! Although it's a little pricey for the size, the proof is in the way the product works. Rosemary Oil: Known growth stimulant and extract, used to prevent dandruff and even premature baldness, as well as enhance highlights. The leaves are known to have relatively high levels of antioxidants. Nettle: Leaf rich in vitamins A, C, K, as well as vitamins, minerals, and chlorophyll. It encourages hair growth by improving circulation and reducing shedding. Mmmmmmmmohhhhhhmygod where do I begin?! Of all the Alikay Naturals products I tried, I love Botanicals the most. I know, it seems crazy. But I really do love a scalp grease more than curl definers, deep conditioners, and hair lotions combined. See, here's the thing. As a kid, I lived for getting my scalp greased. There was just something about that feeling of a finger coated in oily goodness running down the parts in my scalp. Back then, my mom and grandma would use like African Pride or some green Hair Food grease. In 2016, I know better than to slap those on my scalp. So when I saw Botanicals and realized I was getting the naturalistas version of a good ol' fashioned scalp grease, I could hardly contain myself. It's everything I ever wanted in a natural scalp balm and more. I love the bits of nettle, peppermint leaves, and other herbs. I love the cool, slightly tingly feeling I get whenver I use it. Bontanicals takes me back to my childhood - flooding me with warm memories. But beyond that, the stuff is amazing. It soothes my scalp, and works on the hair itself as a great sealant and shine booster. I can't wait to order more! In the photo above, I'm demonstrating the Rake & Shake Method using Creme Brulee Curling Delight. But you know what's sealing tha tmoisture in? Botanicals, baby! Absolutely nothing. I love this stuff - a little goes a long way, so the jar lasts a mighty long time. If you love a good scalp greasing as much as I do, Botanicals is right up your alley. In a heartbeat. Keeping it on deck for #summersixteen and beyond! Emu Oil: Oil made from the fat of the Emu bird, rich in lineoleic acid and touted to promote skin scell regeneration, awaken the hair follicles, and promote healthy hair growth. Rosemary Leaf Extract: Known growth stimulant and extract, used to prevent dandruff and even premature baldness, as well as enhance highlights. The leaves are known to have relatively high levels of antioxidants. I found it really interesting that the Essential 17 Oil was based in Emu Oil. I've purchased Emu Oil by itself, and that stuff is craaaazy expensive! I'm talking over $20 for like 2oz! While I haven't used the oil long enough to pinpoint any hair growth benefits, I do know that it's great for two things: one, soothing ichy scalp. Two, moving down the shaft of the hair and sealing in moisture and softness from root to tip without making the hair greasy or weighed down. For that, Essential 17 gets The Mane Objective seal of approval! While it's not inherently bad, I'll stick it here as a reminder: remember to shake the bottle before each use. There's horsetail powder and other botanical sediment that settles in the bottom of the bottle as it sits. To make sure the botanical ingredients are steeped evenly in the oil, give it a little shake before using. That's all! If scalp balms aren't your thing, Essential 17 Oil is for you. It makes a great pre-poo, sealing, and softening product without weighing the hair down or making it greasy. A little goes a long way! While I really, really like Essential 17, Botanicals has my heart. If I have to choose, I'm going with Botanicals all day! Well, that's my take on Alikay Naturals! Have you tried any of the products? Let's chat in the comments! Thanks for checking me out - I hope you found this review helpful! Thank you so much for this post! I bought the sample sizes of the Aloe Berry Styling Gel & the Creme Brulee just to try them out to see if they might be staples. Your review helps out a lot! That just made this all worth it! Yes! I'm so glad I could help!!!! Thanks a ton a great deal of in this posting! This bread maker a example shapes of your Aloe Fresh fruit Decorating Initialized & a Creme Bruegel the choices consider these folks outside to check out if perhaps they usually are staples. A person's critique will help outside considerably! I like using natural products, specially essential oils. Natural products did not cause any side-effects. Love to try this essential oil.